Welcome in the “New Era” of grinders! An uniform and correct treatment of solids is necessary in wastewater application and sludge handling system. However, it is often difficult to choose the right solution at the right cost. Our TG series for solids size reduction it is one of the most innovative solutions that you can found in the market. We are proud for the extremely tough design combined with a flexible internal component configuration. This is the best approach to achieve benefits while preserving savings. Furthermore, the accessories and options that we designed allow us to create YOUR shredder. TGR = Standard version, cantilever design. 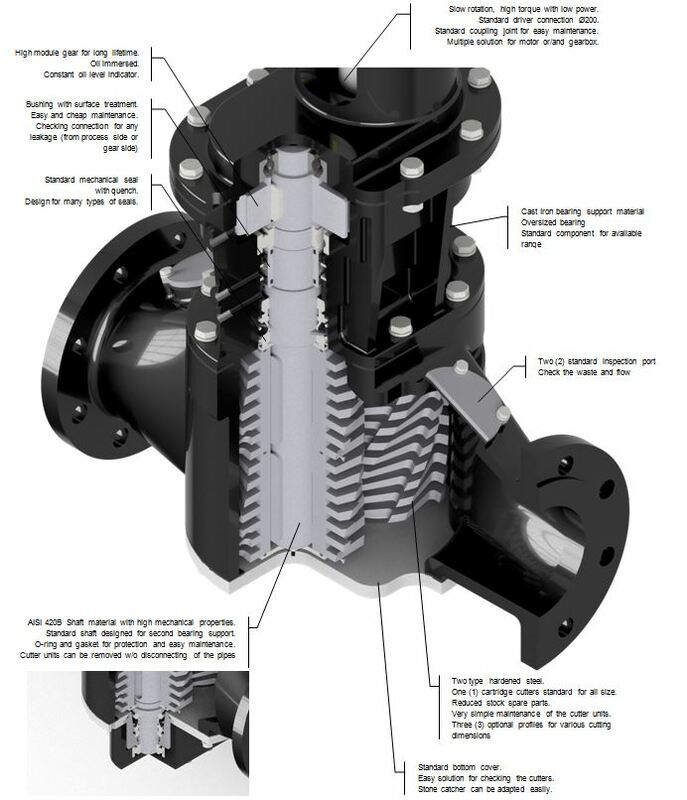 TGS = Strong version with second bearing housing for heavy duty application. TGC = Standard version with stone catcher.